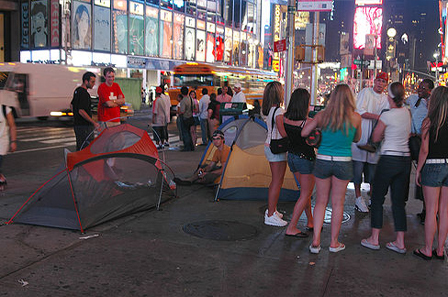 They were also questioned by multiple police officers, to whom they provided non-commital responses about photographing the North Face store or waiting overnight to buy tickets. 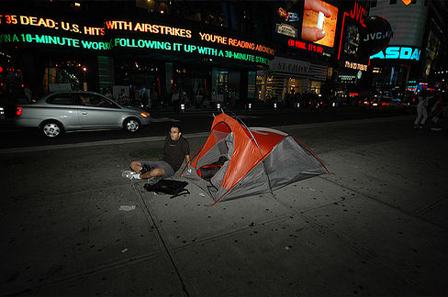 Baltimore, Maryland seems as good a location as any to pitch a tent on the sidewalk. 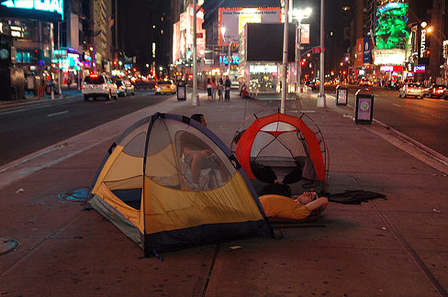 These industrious campers managed to travel virtually for free, selling mugs and living on the street. 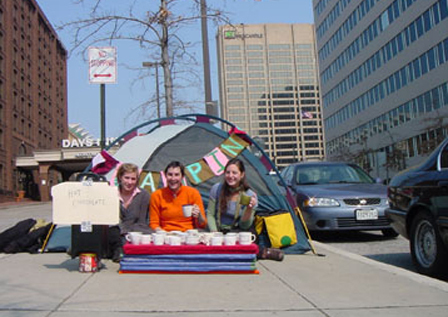 Ultimately they were shooed away by the police, but not before sipping on hot chocolate and taking a few pictures. 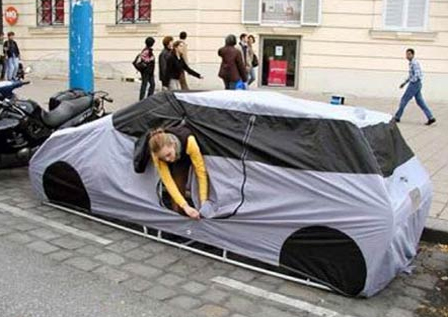 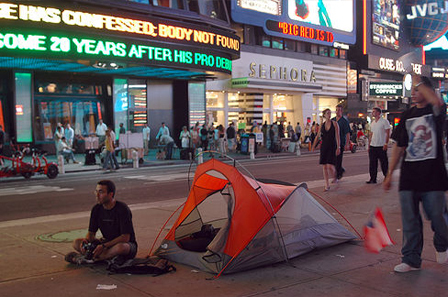 The Car Tent is a rather ingenious approach to urban camping. 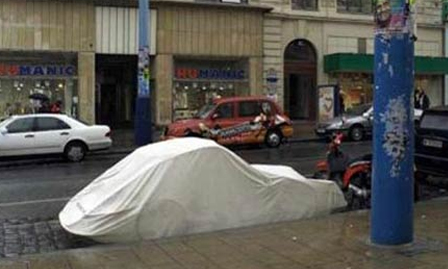 Instead of hiding in a park or making up excuses in a public location, car tent users can camouflage themselves right in plain view. 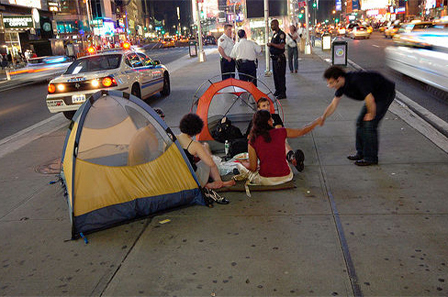 Be sure to check out this related article on car living and couch surfing and these creative homeless dwelling designs.